I recently went to the mall to meet an old friend. After the meetup, I happened upon this accessories store that was on sale. Against my better judgment--I'd recently thought of renewing my commitment to be minimalist--I decided to take a look inside the shop. 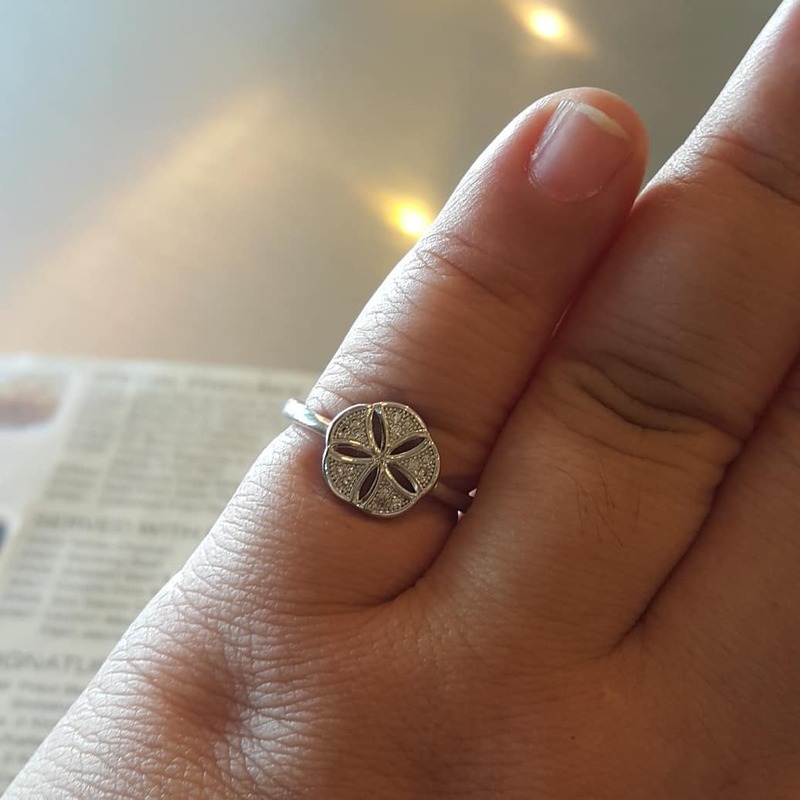 I ended up buying something: a silver sand dollar ring. I didn't need another ring, for sure, but I fell in love with this particular ring because it reminded me of something I did in the past for someone I loved: I collected sun-bleached sand dollars on a beach off Puerto Princesa so I could share a bit of paradise with him. Many of the sand dollars didn't survive the plane ride to Manila. What was left of them disintegrated in the mail, and the recipient, while grateful and touched, didn't, couldn't, really appreciate the grandness of my gesture. That was how I loved back then: romantic and impractical, thoughtful and contrived. How I threw myself into love! I don't miss it, and I do.